Get involved and help hoist the largest sails in Halifax Harbour, a truly unique part of your experience aboard this ship. Step back in time as the wind fills the sails and carries the ship across the harbour. Take the lead and steer the helm or tie a knot – otherwise simply sit back, relax and enjoy getting to know your crew and Captain – all of whom are at your service. Find the Tall Ship Silva at Sackville Wharf, located at 1655 Lower Water Street. Once you board the Tall Ship Silva, our crew will brief you on the safety rules and procedures before we set sail in the beautiful Halifax Harbour. Relax and enjoy our fully stocked bar as our Captains and crew get us out on the water. You will cruise down to the bridge and up past George's Island while the Crew tells stories and the history behind both the Tall Ship Silva and the Halifax Harbour which is the reason Nova Scotia's capital city is located where it is. 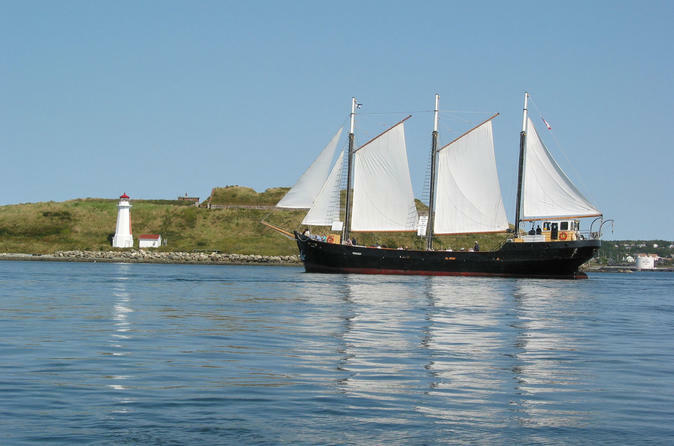 Nova Scotia has a rich sailing history, and your crew will be happy to share their knowledge and experience with you. Some prefer to sit back and enjoy the sights and views on a beautiful day, while others choose to assist the crew in raising and lowering our sails. Our large and comfortable vessel has more than enough space for everyone to enjoy the experience they are looking for. The Tall Ship Silva is a perfect way to experience Halifax the way it is best known for: the water with salt in the air. The views of the city from the water make for perfect photo opportunities for you to remember your trip, and your crew will be more than happy to assist in taking pictures. You do not want to visit Halifax without getting out to enjoy the water with the friendly and knowledgeable crew on the Tall Ship Silva!